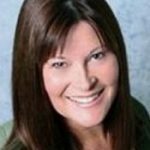 Deborah has over 20 years in the field of energy healing. She is an ordained minister, Angelic Reiki Master Teacher, Certified EFT (Emotional Freedom Techniques) Practitioner and Spiritual Counselor. Her ministerial work is about serving her immediate community as well as the planetary tribe. Deborah lives in the mountains of Colorado.